Fè yon koudèy sou pi bèl foto kap domine aktyalite a nan lemond. 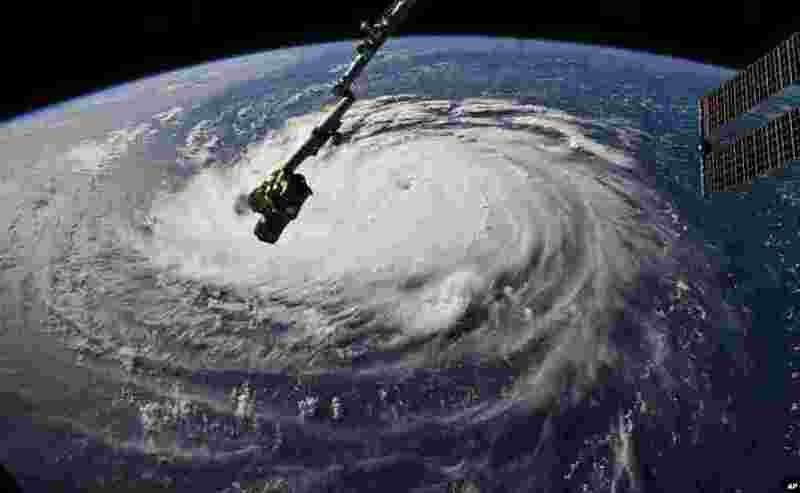 1 Photo provided by NASA shows Hurricane Florence from the International Space Station as it threatens the U.S. East Coast. 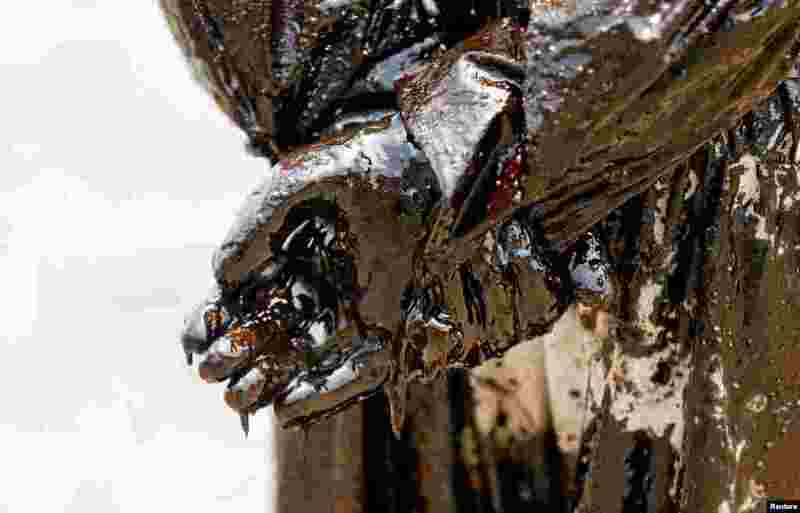 2 Oil glows of a member of the Sri Lankan coast guard as he removes oil from a beach after an oil spill in Uswetakeiyawa. 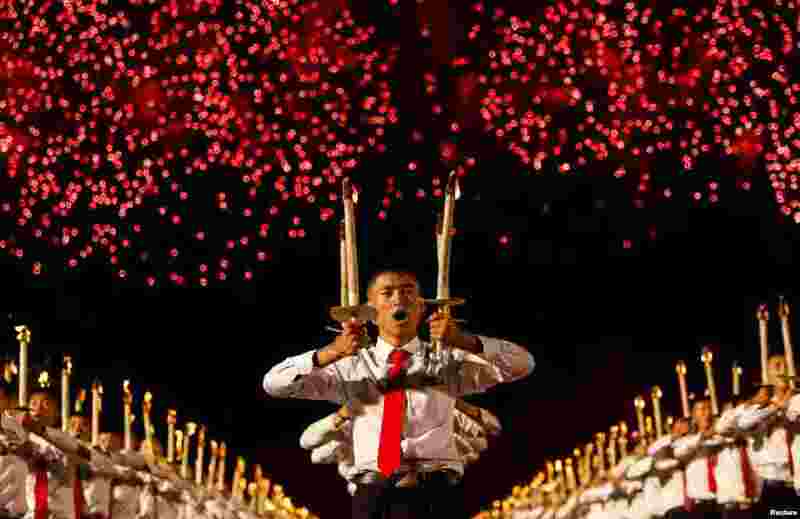 3 Fireworks explode over participants carrying torches during a torchlight procession during the celebration marking the 70th anniversary of North Korea's foundation in Pyongyang, North Korea. 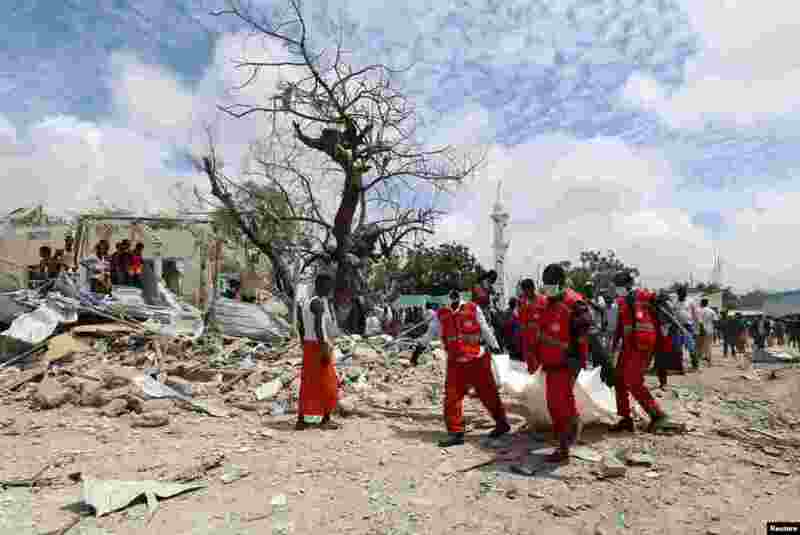 4 Rescuers carry the dead body of an unidentified man from the scene of an explosion to an ambulance in Hodan district, Mogadishu, Somalia.